Stockholders' equity is the book value of shareholders' interest in a company; these are the components in its calculation. As the name suggests, paid-in-capital (or 'contributed capital') is the money the company has raised from investors through the sale(s) of its stock. Paid-in capital is itself broken down into two accounts: Par value of issued stock and paid-in capital in excess of par value. The par value of issued stock is an arbitrary value assigned to shares in order to fulfill state law. The par value is typically set very low (a penny per share, for example) and is unrelated to the issue price of the shares or their market price. Corporations like to set a low par value because it represents their "legal capital", which must remain invested in the company and cannot be distributed to shareholders. Another reason for setting a low par value is that when a company issues shares, it cannot sell them to investors at less than par value. Par value of issued stock may also appear on the balance sheet under the term 'Common stock'. As the name suggests, retained earnings is the cumulative amount of net income the company has earned from the time it was created that it has not distributed to shareholders as dividends. Losses are included in the calculation, too: they subtract from retained earnings. The fact that retained earnings haven't been distributed doesn't mean they're necessarily still available to be distributed. When companies seek to finance expansion or new projects, retained earnings is often the first form of financing they turn to (it's cheaper than issuing new equity.) Retained earnings does not represent a pool of liquid assets – in many cases, the earnings have been reinvested in the business. There are two other accounts that you will run across in looking at corporate balance sheets: 'Accumulated other comprehensive income' and 'Treasury stock'. You may have noticed that in all the real-world examples included above, there is another line item in shareholders' equity immediately below retained earnings with an opaque and unwieldy name: Accumulated other comprehensive income. The best way to explain other comprehensive income is to start by defining comprehensive income, which encompasses all changes in the company's equity during a reporting period that are not the result of transactions or events involving stockholders (but only in their capacity as stockholders: If you own Apple shares and you buy an iPhone, the purchase is part of comprehensive income). Transactions that involve stockholders are primarily the distribution of dividends and the sale or repurchase of the company's stock. Excluding these transactions, the major source of change in a company's equity is retained earnings, which are a component of comprehensive income. However, there are other sources and thus, other comprehensive income. Revaluations of property, plant and equipment. Changes in the fair value of securities categorized as available-for-sale. Actuarial gains and losses related to the company's defined benefit pension plan. Finally, just as the retained earnings figure on the balance sheet is a cumulative amount, the line item that relates to the other comprehensive income is 'Accumulated other comprehensive income', which records the cumulative change to stockholders' equity from comprehensive income. To distribute to employees as part of a stock option plans. To maintain control and ownership, for example to fend off a hostile takeover bid. Treasury stock is not an asset, it's a contra-stockholders' equity account, that is to say it is deducted from stockholders' equity. Treasury stock is most often carried on the balance sheet at cost. Note that the Treasury stock is listed as a negative quantity that reduces stockholders' equity (as an aside, did you notice that the capital stockholders have contributed to Amazon is more than five times retained earnings?). So, now that you know about stockholders' equity, maybe you're interested in ... becoming a stockholder. 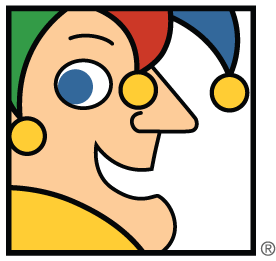 The Fool wants to help: Check out our broker center for advice on how to get started.